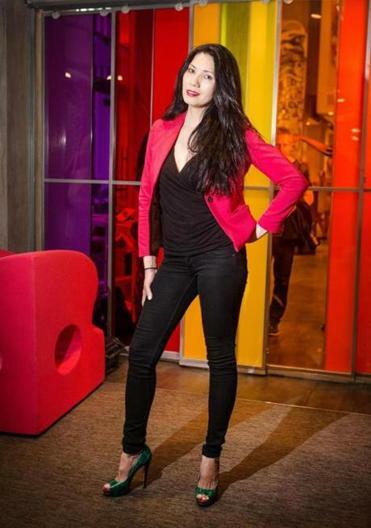 Guests looked picture purr-fect at the Boston event, hosted by a “Baywatch” star. 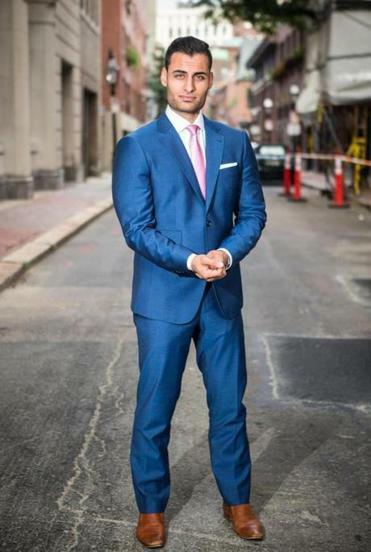 This Boston resident looks dashing in a fitted Blank Label blue suit, crisp J.Hilburn shirt, pink Polo tie, and Aldo shoes. Monteiro, who lives in Boston, rocks a LBD of her own Casa De Angelina design, with a T.J. Maxx bag and longtime favorite platform heels. 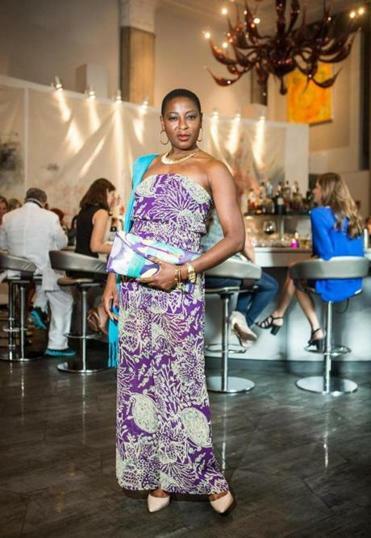 A Cranston, Rhode Island, resident, Sekoni makes a splash in a strapless print jumpsuit and turquoise scarf bought in Georgia, with a fabulous Kent Stetson clutch. The event organizer, a Boston resident, pops in a hot pink jacket and black jeans from H&M, draped top from Saks, and green peep-toe heels by Boutique 9. Event host/“Baywatch” beauty Bingham, who lives in Boston and L.A., vamps in a zippered dress and rhinestone ankle-straps, both from bebe, with a hold-everything Chanel bag. A Milton resident, Rocha is eye-catching in a Harlowe & Graham print topper and orange mini dress from Nordstrom with Michael Kors ankle-strap sandals. 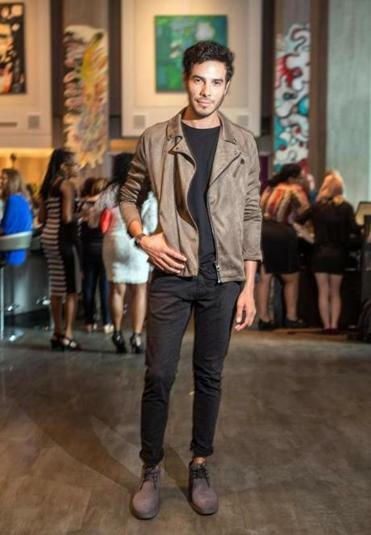 This Somerville resident elevates street chic in a taupe suede jacket and shoes with black T and skinny pants, all from Zara.